We advise you to go on a trip in the summer and see many interesting places on the fifth continent. Uluru- This orange-brown rock towering in the middle of the desert is a true symbol of Australia. This rock has been an Aboriginal place of worship since ancient times, and it is not surprising. After all, the rock consists of red sandstone, which miraculously changes color depending on the lighting, so it looks different at different times of the day. Great Barrier Reef- This reef is the largest coral reef in the world, so it is a favorite place for divers. The Great Barrier Reef consists of more than 2,900 small reefs surrounded by coastal islands. 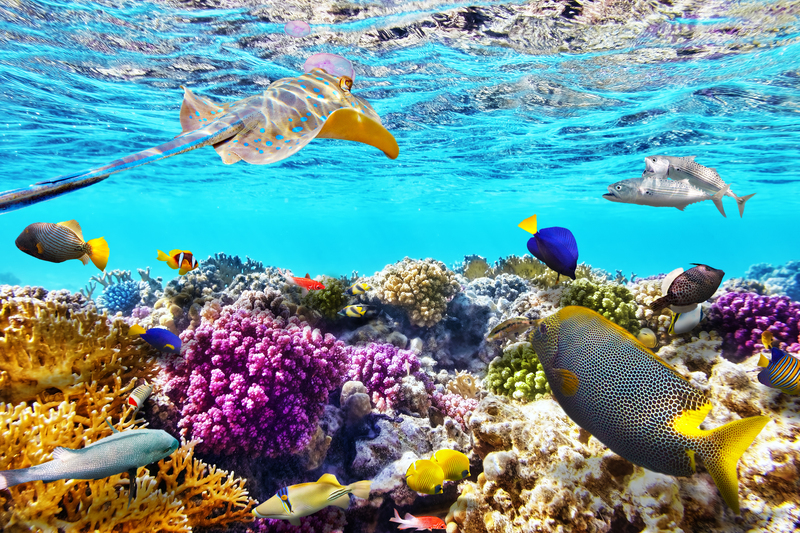 Nowhere else is there such a natural ecosystem in which many corals coexist (more than 400 species), fish, including several species of sharks, sea turtles. This reef is visible even from space and is the most massive structure created by living organisms. Kakadu National Park- It is a cultural and natural monument of Australia holiday destinations. The park is surrounded by mountains, has a vast territory equal in area to the territory of Israel. Kakadu Park has a unique nature; it is inhabited by animals and plants that cannot be found anywhere else in the world. And the animals of Australia themselves are the pride of the continent because all known marsupials on Earth are its inhabitants. Port of Sydney- Here is the famous Sydney Opera House, which became a UNESCO heritage site and the Sydney Botanical Garden. The Opera House attracts not only connoisseurs of vocal art, but also lovers of interesting architecture. This unique structure will be remembered by the traveler for its grandeur and unusual. On three sides, the theater is surrounded by water, and the roof of the tetra resembles not only huge sails or wings of a giant swan. Purnululu National Park- This Park is counted as luxury destinations in Australia and can only be reached during the dry season and only on off-road vehicles, but these inconveniences will be rewarded with the contemplation of amazing striped rocks. The alternating bands of gray and orange sandstone attract thousands of tourists from all over the world to these places. Sydney Tower- On this tower, you can visit the observation deck, which is located at an altitude of 305 meters. It gives a beautiful view of the city. The tower has a restaurant, and for the bravest – Sky Walk. This is a walk along the glass corridor at an altitude of 260 meters. The floor in the hallway is also transparent! Do you desire to know some of the most important cities that you have ever known in beautiful Australia? In that case, you will love knowing some of the most famous cities that exist, at present, in beautiful Australia. If you think you are interested in these cities, you’ll love knowing that some of them may eventually become that mainly will be of interest to visit Australia and take advantage. Discover them! Sydney: The Australian capital is one of the most visited in the Australian country. Only the fact of contemplating the mythical opera of Sydney is worthwhile, although the truth is that the city has much more to propose. Among the places to enjoy is the port of Sydney, the neighborhood of The Rocks, Chinatown as well as the beaches of the city. Today’s Sydney is a modern and open city, where people not only work but also have fun. It lives facing the sea, with beaches such as the well-known Bondi Beach and welcomes people from a large number of nationalities, both travelers and second and third generations or expatriates who have come to Australia in search of new opportunities. Brisbane: The third largest city in Australia is one of the most visited, especially in some corners such as Fraser Island, the largest sand island in the world with lagoons and rainforests. Travelers can visit the botanical garden of the city, which, unlike what you might think, is worth it from the moment we access this town. Although not all types of visitors are interested in other kinds of tourism, it is interesting to highlight The Queen Street Mall. Travelers will find that it will be viable to discover some of the most beautiful luxury destinations Australia from the moment they visit. They want to see the restaurants, cafes, and bars of all kinds. Perth: If you want to know this town, get ready to visit museums. In this town, there is an Art Gallery of Western Australia and also the Institute of Contemporary Art. Also, we discovered some corners as in the case of the international arts festival in Perth. Among the different angles that we will find will be worth all those who are linked with the fact of seeing this corner of the world in a big way. Melbourne: It is the second largest city in Australia, and this makes Australia holiday destinations, in turn, the most suitable to enjoy a vacation. At the architectural level, it stands out for places such as its brand-new princess theater or the memorial built to remember the Australian fighters in the First World War, which is a full-fledged mausoleum. Street art acquires particular relevance in Melbourne, being one of the most famous cities. We should not forget that the Victoria Arts Center is well known because it represents many plays, classical and contemporary music, among other trends. The film festival in Melbourne is internationally recognized, and it is not strange that this is a city that plays the primary role in this respect. You will love identifying each of the different corners that are impregnated with art from every angle. Australia is known as the land down under for its sandy, white beaches, cute and cuddly wildlife and red, arid centre. With so much diversity it’s hard to know where to start when you are planning a trip to Australia. Much as Australia is known as an ideal destination for backpacking, many have also found a liking for luxury destinations in Australia. Sydney Opera– Nothing but the grand Opera House comes to our minds when we speak of Sydney, Australia. It can be safely said that this modern architectural marvel is definitely the place to visit for Australia luxury destinations. Its structural build is similar to the huge shells or billowing sails. The UNESCO World Heritage Sites has enlisted this structure as world’s great architectural icons. Get ready to get a stunning view of the water surrounding the structure from all the three sides and the Royal Botanic Gardens border it to the south. This can truly become a perfect spot for the newlyweds as they can get to enjoy a performance here; dine at one of the restaurants; or take a tour of the building, which encompasses theaters, studios, a concert hall, exhibition rooms, and a cinema. But watching the Sydney Opera House from a distance is the sight to behold. And for all the photo buffs, Mrs. Macquarie’s Chair in the Royal Botanic Gardens is where you can click tons of selfies, or you can hop aboard a harbor cruise or ferry for yet another picturesque perspective. Bondi Beach– If your Australia luxury travel is set to be all about seaside stroll or picnic then the Bondi Beach is the best place to head to. This is one of the most frequented spots in the by the tourists especially during Christmas and New Year’s. Besides the long stretch of coastal lines, there are also the Sunday markets, ocean pools and Skate Park. Adelaide- The fifth largest city of Australia is also one of the best places to visit in the entire country. Located on a plain between rolling hills and the Gulf St. Vincent, and bordered by many of Australia’s famous wine regions, Adelaide has a lot to offer if you happen to be a foodie. The city is replete with café and hotels that serve both international and authentic local delicacies. As part of your excursion, you can visit on the banks of the Elder Park that has a mix of modern and historic architecture. Broome- Broome, a perpetually sunny town located in Western Australia’s Kimberley Region, known as one of the most unique wilderness destinations in the country, offers the chance to enjoy nearly endless white sands and turquoise seas, and even ride a camel into the sunset on Cable Beach. Broome’s central region is home to vast wildlife sanctuaries, stunning gorges and thundering waterfalls. In the town of Broome itself, you can view indigenous art at Short Street Gallery, hosting extensive collections that highlight the varied and distinct styles of the different Aboriginal tribal groups and go pearl shopping in Chinatown, home to the world’s finest pearl showrooms, for a classic souvenir. Melbourne- Australia’s second most populous city is ought to find a mention in the list of luxury destinations in Australia. Melbourne is also known as the cultural capital of Australia and is also a hub for fine food, wine and lots of shopping spots. Shoppers flock to the elegant Royal Arcade on Bourke Street, as well as Chapel Street and the Melbourne Central Shopping Center. The city is also has an impressive culinary that features Eurasian street foods. Kuranda- It’s just 15 miles away from Cairns and one can only see a different world altogether in their Australia luxury travel. To make your travel even more memorable, you can reach there by the scenic Kuranda Railway. The city in the tropical rainforest of the Atherton Tableland shall feel refreshingly cooler and less humid than sea-level Cairns. The Skyrail Rainforest Cableway lets you experience the tropical rainforest, where you’ll glide above the canopy taking in spectacular views of the lush Cairns highlands, the city of Cairns and the Coral Sea. Yamba, New South Wales- The national parks and natural park in Yamba showcase the beauty of the wonderfully charming town which is situated right on the beach. In your Australia luxury travel, you get a chance to explore the delightful surroundings aboard the Clarence River Ferry that travels to and from Iluka. Follow it up with Yamba’s celebrated prawns at the Clarence River Fishermen’s Co-operative. Bright, Victoria- You are obviously going to get befuddled but a town does exist by the name of Bright in Victoria. The city lets you go in for a stunning scenery ride all the way with mountainous lookouts provide plenty of opportunities to take in the colors especially in the autumn. Don’t miss out on the Rail Trail to Murray. For more of the best views in town, stop by Bright Brewery that affords you the amazing views of the parks, mountains and river. Launceston, Tasmania- The charming river side can very well be a hidden treasure of destinations with the Northern Tasmania’s Tamar Valley containing magnificent natural attractions. Launceston City features monuments, a duck pond, and shrubs on its gently sloping hills that are surely gonna take your breath away. Darwin, Northern Territory- Seeking a serene escape? This is the place. There’s pristine clean beaches and parks that are stuffed along its coast, Darwin’s waterfront is the true natural art filled with beauty. Embrace the ambiance on a sunset cruise, or while fishing from Stokes Hill Wharf. You can also set out on a journey to the treetops and have a laidback time in a lagoon at Territory Wildlife Park, all while watching the resident animals scamper about. What’s more? You can always go for a walk-through aquarium that lets you view some of the Top End’s most astonishing aquatic creatures up close. With such a holistic selection of the best luxury destinations, Australia is truly the place to be for a grand luxury tour whose memories are set to be etched on the minds of the travelers forever. 1:- Whitsundays, Queensland: Features like balmy moonlit nights under the swaying palm trees and romantic sunsets over the crystal clear waters help these islands to become a completely memorable destination of the honeymoon for the newlyweds. This is considered as one of the top honeymoon destinations in Australia with 74 islands, among which just eight islands are inhibited. So, lesser crowd and a destination full of love are what Whitsundays offer. Don’t forget the presence of Great Barrier Reef- one of the seven natural wonders of this world.